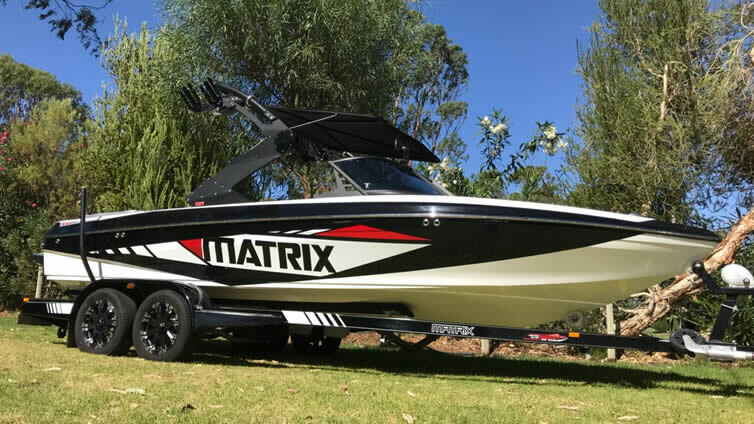 The Matrix MXV, walk through bowrider rear mountt, sets new design standards for Australian manufacture ski and wake boats. 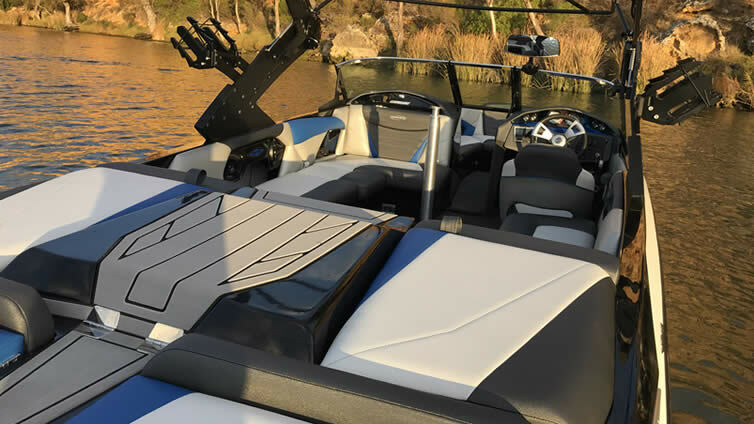 This is the true 'cross over' package with endless possibilities, from barefoot to surf, the MXV packs a punch in all departments. 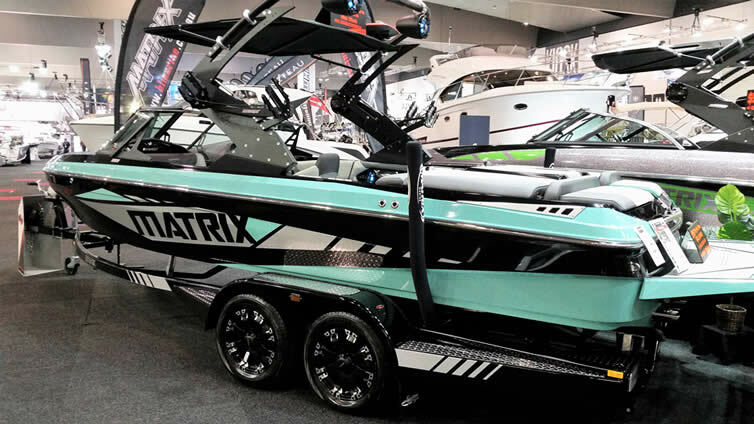 The newest member to the Matrix family, the MXV is a boat like no other, giving true crossover ability. 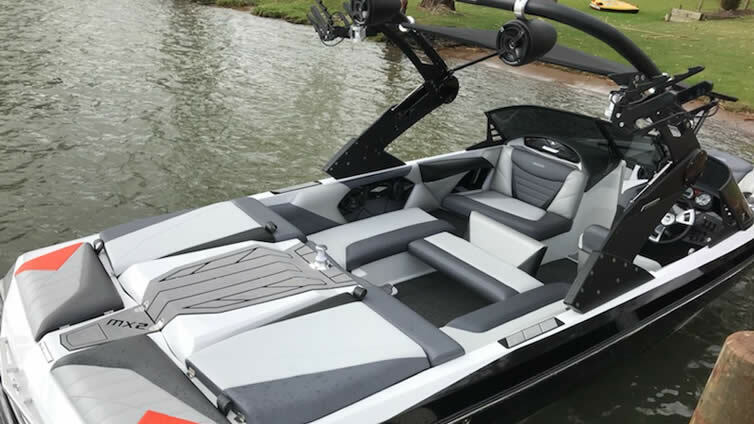 Compact on the outside, roomy on the inside, the MXV has the edge on its expensive oversized competitors, and providing a more cost effective day on the water. 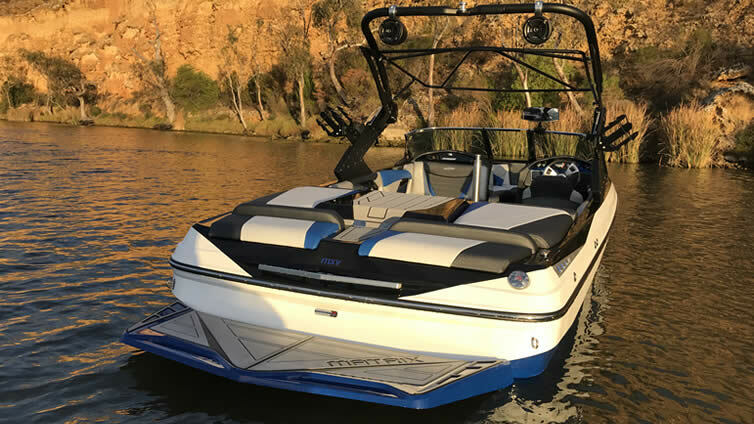 The MXV features, fibreglass floors and engine bearers, choice of 3 modern gelcoat colours, pump in and out double ballast, MTX folding tower, and USA style interior, all as standard equipment.